The Gemini South telescope is located at an elevation of 2,737 meters (8,980 feet) on a mountain in the Chilean Andes named Cerro Pachón. Cerro Pachón shares resources with the adjacent SOAR Telescope and the nearby telescopes of the Cerro Tololo Inter-American Observatory. 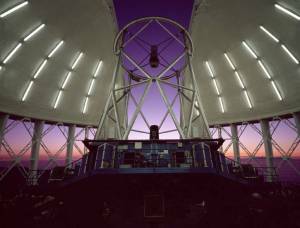 It is expected that the Large Synoptic Survey Telescope (LSST) will join Gemini on Cerro Pachón during the second half of this decade. The Frederick C. Gillett Gemini North telescope is located on Hawaii's Mauna Kea as part of the international community of observatories built to take advantage of the superb atmospheric conditions on this long dormant volcano which rises about 4,214 meters (13,824 feet) into the dry, stable air of the Pacific. The Gemini Observatory's international headquarters is located in Hilo,Hawai‘i at the University of Hawaii Hilo's University Park. Both of the Gemini telescopes have been designed to excel in a wide variety of optical and infrared capabilities. 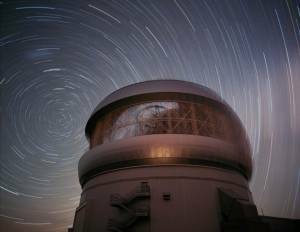 By incorporating technologies such as laser guide star adaptive optics and multi-object spectroscopy, astronomers in the Gemini partnership explore the universe in unprecedented depth and detail. Gemini is operated by an international partnership that includes the United States, Canada, Brazil, Argentina and Chile. Any astronomer in each participating country can apply for time on Gemini which is allocated in accordance with the amount of financial support provided by each country. The Gemini telescopes have been integrated with the latest networking technologies to allow remote operations from control rooms at the base facilities in Hilo, Hawai‘i and La Serena, Chile. With the flexibility of "Queue Scheduling" and remote participation, researchers anywhere in the Gemini partnership will be assured the best possible match between observation, instrument and observing conditions.